Gillingham MP, Rehman Chrishti, has tabled a bill in parliament in the hope cats will get the same legal protection as dogs. A gang of five teenage boys have been found guilty of the murder of 17-year-old Kyle Yule in Gillingham last year. A Gillingham hostel is opening its doors to the homeless and their pets. Ending the tough choice of living alone or with their companion. 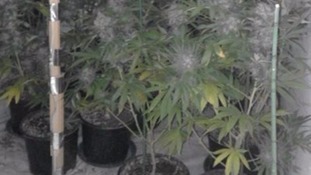 A 21 year old man has been arrested after nearly 300 cannabis plants were discovered at a house in Gillingham in Kent. Three more people have been detained in connection with the murder of a teenager in Gillingham. 17 year old Kyle Yule was believed to have been stabbed on East Street on Friday night. He was taken to hospital but died shortly after. A group of people were reported to be causing criminal damage to a silver Renault Clio, shortly after Kyle suffered fatal injuries. A 21-year-old man, from the Gillingham area, was arrested by officers on Tuesday 10 October 2017 in Woolwich, London. Two other people, also from the Gillingham area, were also arrested with one person, a 16-year-old boy being arrested in Sydenham, London, and a 20-year-old man being arrested in Gillingham. All three people have been arrested on suspicion of murder and remain in custody. A 15-year-old boy from the Gillingham area was arrested on Friday 6 October on suspicion of Kyle’s murder and has been released on bail until Thursday 2 November 2017. An 18-year-old man from the Gillingham area was arrested on Saturday 7 October 2017 and has been released on bail until Tuesday 7 November 2017. If you saw a group of people run from the scene of the incident in East Street towards West Street and onwards at about 8.30pm on Friday evening please contact police on 01634 792209 quoting reference SI/XY/009396/17. Alternatively call Kent Crimestoppers anonymously on 0800 555111. A teenager who carried out two hit-and-runs in four months, killing an elderly caretaker and mowing down a traffic warden, was today jailed. A thief found hiding in woods with a leopard print suitcase containing stolen items has been jailed for five years.